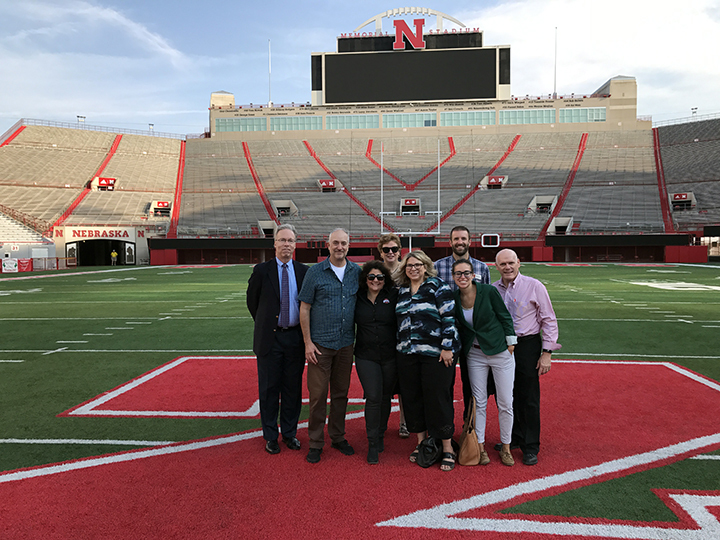 It’s never easy to travel during the semester, but it was worth it to spend part of last week at the University of Nebraska-Lincoln talking the status of sports journalism/media programs as part of the first gathering of professors representing sports journalism programs at Big Ten schools. Most inspirational to hear about the offerings from such sports standouts as University Of Maryland, Michigan State and now UNL, which launched its sports journalism degree this year. It launched hoping for 50 students in five years. It received 5o just this semester. 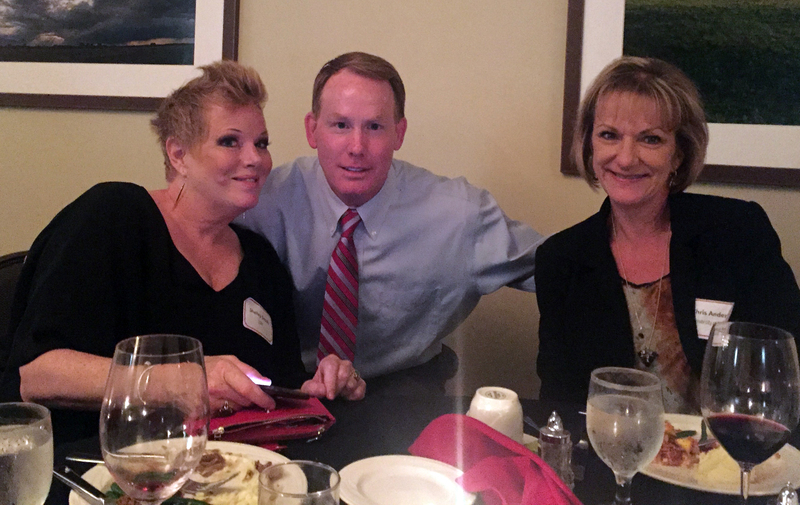 Dining with Shelley Smith and AD Shawn Eichorst. We were hosted by the fine faculty of the Sports Journalism department, including Jerry Renaud and Dean Maria Marron. Our visit started with dinner at the Country Club of Lincoln, joined by Chancellor Ronnie Green, Athletic Director Shawn Eichorst and the incomparable Shelley Smith of ESPN, a Nebraska alum. The next day started with a behind-the-scenes tour of the Nebraska athletic and journalism facilities. Nebraska commitment to its student-athletes was breathtaking, especially the 4-year-old East Memorial Stadium expansion, which brought together researchers from the Nebraska Athletic Performance Laboratory and UNL’s Center for Brain, Biology and Behavior into one 50,000-square-foot facility. Our discussions then began in ernest, addressing curriculum challenges (what we do and what we want to do), research and creative activities and what we could do moving forward to create a Big Ten Sports Media & Communications Alliance. Lunch was spent with Kerry Kenny, Big Ten assistant commissioner of public affairs–and husband of OSU journalism alum Mallory Treleaven–who talked through some of the opportunity presented students by the Big Ten. In the end, we had created a community, solidified our commitment, and set the site of our 2018 meeting–Ohio State, of course. On the field and court, the schools of the Big Ten may be rivals, but in the classroom, we are all committed to the same thing–the success of our students and our programs. We recognize that like any good team, we are stronger together. I am incredibly proud to play on this team.